Admission fees kindly puts in the collection box. Open from Saturday before Palm Sunday to November. Guided tour - contact info@fondengamlesonderho.dk or telephone +45 5150 1850. Visit in the life boat station is at your own risk. This typical old lifeboat station is fully equiped with a lifeboat and lifesaving equipment. 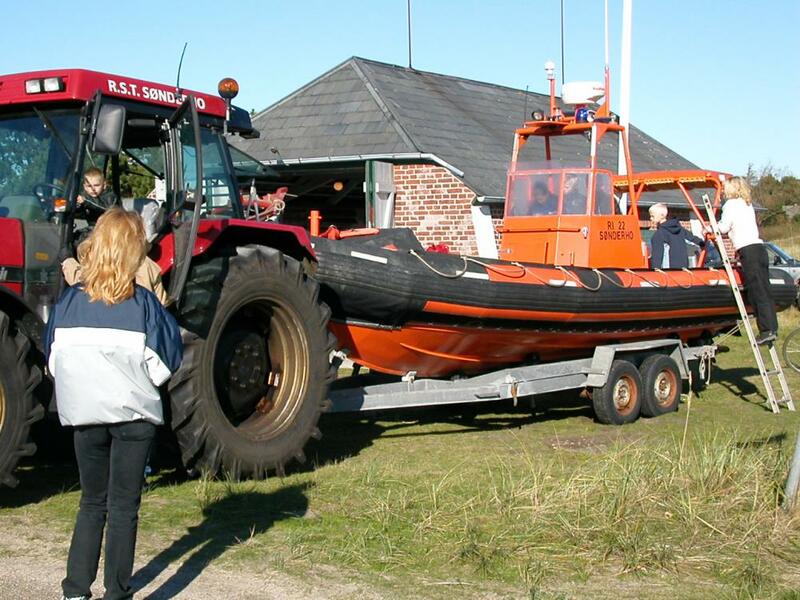 Apart from the lifeboat, which stands on the trolley, which was drawn by 6 horses to the beach, you can see the equipment which was used in the boat at sea as well as other lifesaving equipment that was used on the beach. Furthermore there are a number of posters with old photographs, descriptions and lists of the men who took part in lifesaving attempts. 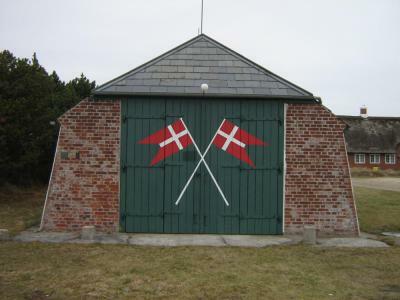 On April 1st 1887 a law was passed that established a governments lifeboat station in Sønderho. On October 1st 1887 a new lifeboat arrived in Sønderho. The new boathouse which was built in 1887, the lifeboat and equipment were already tested 5 days after arrival and found to be in order. The first stranding in the history of the lifeboat station was in July 1888. Rescue operations and exercises carried out by the 12 man rescue staff are described In the preserved protocols. A watch service was established In autumn 1888 primarily for use in winter and bad weather with gale and storm. At the same time phone houses were established at two places at beach with connection to the lifeboat station. Thereby, the alarm time was reduced considerably. 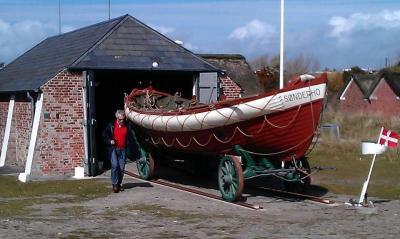 In 1938 the old lifeboat was replaced by a new life boat from Anholt. The new life boat was used during the second world for rescue of the staff from crashed airplanes. The last rescue operation with the rowing lifeboat took place in 1956. In autumn 1958 a motor lifeboat was provided. Today, Sønderho rescue station is located at the bus station and provided with a high-speed lifeboat. 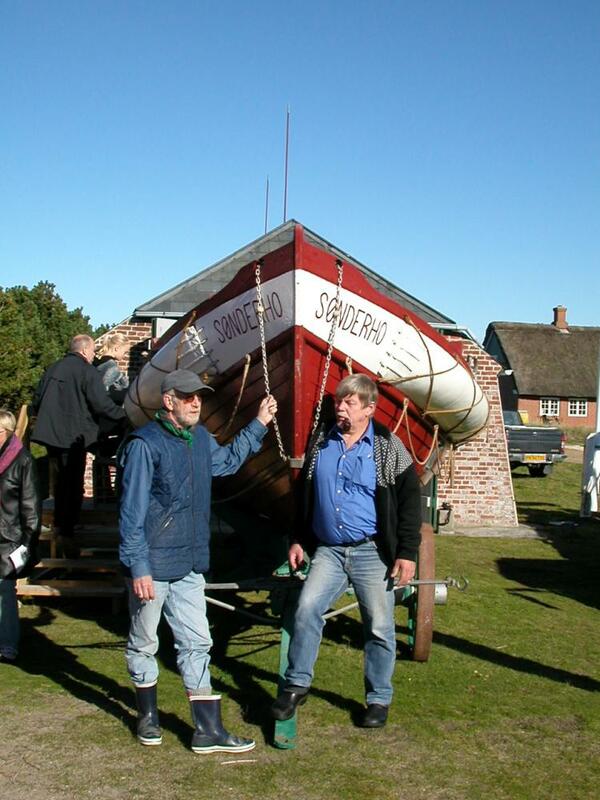 In 1974 the old Sønderho lifeboat was sent to Greenland but another similar lifeboat was given to Sønderho. Read more about the lifeboat station here. You can enter the boat by a stair. Stay in the boat at your own risk! 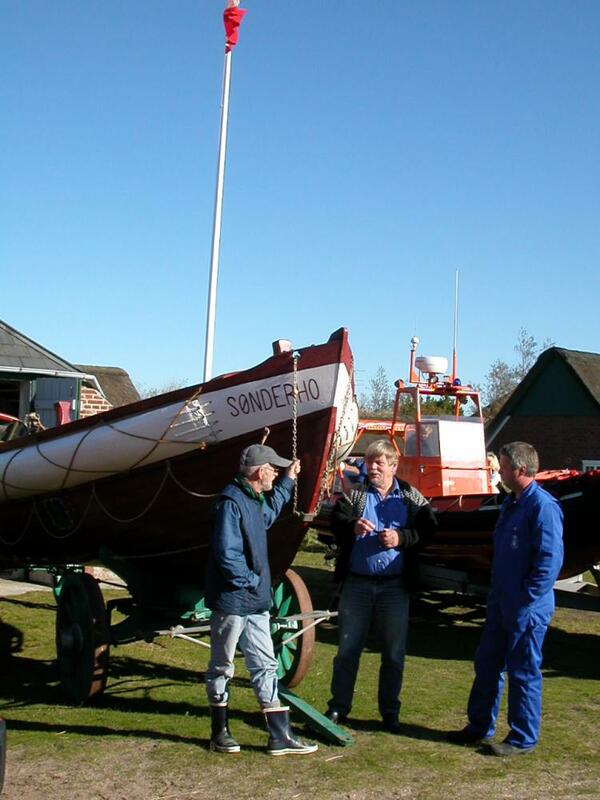 The custodian and staff inform about the old and the new lifeboat.